On the clear evidence, Aung San Suu Kyi is a charlatan. When in 2015 Aung San Suu Kyi ran for public office in Myanmar, she was not entitled to do so by Myanmar laws. Her children were not locally born. There exists a proviso in the Military-Junta-created Constitution that prevents her being President. She knew this, we believe. Aung San Suu Kyi was nevertheless awarded a Nobel Prize and country’s like Canada bestowed her honourary citizenship. A growing number of entities and institutions are stripping her of hastily made awards. Her acclaim was largely based on her father’s extraordinary reputation and the wishful thinking that the decades of strife in what was once Burma, had ended. She is now a figurehead for criminals. She does not inherit her father’s aptitude for leadership and without question is inept as a leader for the people. She is the front-woman for massacre and the ethnic-cleansing of Muslims in Myanmar and would not likely survive a tribunal like those convened against Serbia for the ethnic-cleansing in Bosnia-Herzegovina. The “buck stops” at the military’s civilian puppet, Aung San Suu Kyi, when Muslims are slaughtered and some 627,000 are driven from their homes. We do not know the numbers of the dead but just counting the individual skirmishes where the government has admitted deaths, the numbers are in the thousands at least. What is clear from all accounts and photographs is that the dead are women and children, not men fighting as militants. How can this be? Even the Pope who is visiting Myanmar today is wishy washy on his condemnation of Muslim Civilian murder and ethnic cleansing. Myanmar’s Catholic Church which has no love for Islam is defending leader Aung San Suu Kyi and casting doubt on the veracity of reports about “ethnic cleansing” of Rohingya Muslims by the military in northern Rakhine state. Pope Francis at Saint Mary’s Cathedral in Yangon, Myanmar clearly shed his moral authority by more or less abdicating to the side of the murderers. Bishop John Hsane Hgyi suggested that reports of atrocities being committed are not “reliable” or “authoritative” and that those who are criticizing Myanmar’s response to a complex situation should “go into the field to study the reality and history” to obtain “true news.” Meanwhile, RINJ women in Myanmar say that women and girls are constantly being raped by soldiers and their towns and villages are burnt to the ground. It is time that Aung San Suu Kyi be stripped of all accolades and a potent message sent to the Generals that their time is up and that a proper UN-Oversight election be conducted and the military hand over public policy making and governance to a civilian government. What has happened in Myanmar is unquestionably a crime against humanity. The conduct of Myanmar troops is under both orders and tutelage of the de facto military junta and has only one thing in purpose: ethnic cleansing under a state-issued edict. This type of crime is spreading around the world. The Catholic Church has in several countries like the Philippines and Myanmar, walked away from any moral authority in its weasling, waffling humanitarianism and at times outright condemnation of Muslims. The United Nations needs to find its collective spine and stand up to the blood-thirsty Myanmar military junta. It will not be alone. Britain for one nation has been unsparing in its words and actions against the crimes of the government of Myanmar. Learn how you can help the funding effort. Or come join us as a volunteer nurse. 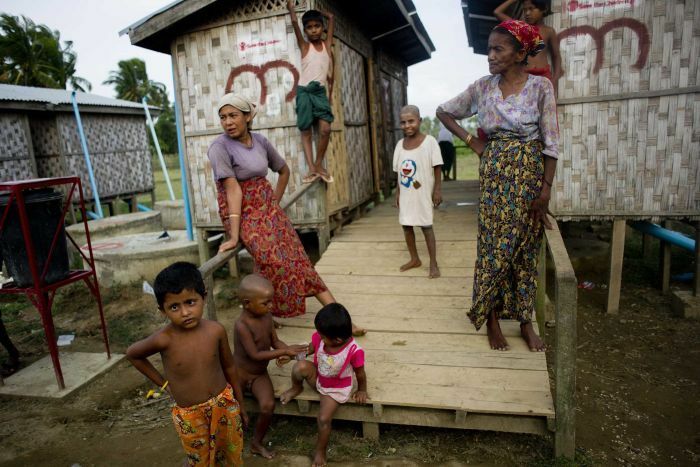 Please Donate what you can to care for Rohingya Babies in Bangladesh and Myanmar.